Best Motorcycle Accident lawyer Denver - The Law Office Of Richard J. Banta, P.C. Are you looking for the best motorcycle accident lawyer Denver CO offers? At the Law Office of Richard J. Banta, P.C. we understand the importance of hiring an experienced and aggressive personal injury lawyer. Richard J. Banta, P.C. has always made it his goal to be the best Denver motorcycle accident lawyer available for accident victims. Call him at 303-331-3415 to discuss your case at no charge to find out how he may be able to help you. When looking for the best motorcycle accident lawyer in Denver CO, there are several factors to consider. The Law Office of Richard J. Banta, P.C. encourages injury victims to choose the best motorcycle accident lawyer Denver CO bikers can hire. If you were injured in an accident caused by someone else’s carelessness, negligence, or intentional act of harm, Richard J. Banta, P.C. is available to meet with you for a confidential, free consultation. Does the lawyer have a successful track record of winning fair settlements on behalf of his or her clients? Has the attorney handled motorcycle accident cases similar to yours? 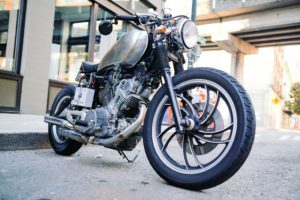 The best motorcycle accident lawyer Denver CO motorcyclists choose is one who understands motor vehicles laws as they can affect bikers. They also understand how accidents can occur between motorcycles and passenger vehicles. This is critical for building a case that proves the biker was not at fault. Is the attorney confident that he or she can help you? Can they negotiate a fair settlement? Can they possibly win in court if a lawsuit is unavoidable? Is their fee affordable? Do they work on a contingency basis so that you will not have to pay until and unless they negotiate a settlement or win a jury award? Does the attorney work with experts in various fields who can testify on your behalf? For instance, a medical professional can examine your injuries and testify how they occurred in the motorcycle accident. They can also provide information about how long the injury will last and how much your medical costs will be over the long term. This is very important as your attorney can include future medical bills as part of your damages. If you sustained a terrible injury in a motorcycle accident, the insurance company may offer you much less than what you deserve. They may offer you nothing at all. You have the right to hire a lawyer who can help you get a fair settlement or else pursue a lawsuit. If you’re looking for the best motorcycle accident lawyer Denver CO offers, call the Law Office of Richard J. Banta, P.C. today at 303-331-3415.